While the power of possibilities charges the air. It matters not, when darkness may seem to surround thee. Surrender not, your heart and soul will forever remain free. Press on against all, whether human or some inner wraith. For you, only you, can destroy that inner feeling of faith. 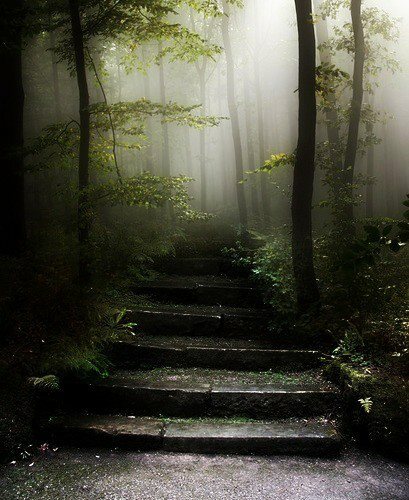 The moss-covered steps ahead seem to threaten your fall. An empty threat, for you have answered your faiths' call. Raising eyes, looking ahead, and there, within your sight. An end to the dark, before you, freedom and glorious light.